We are looking for a dynamic, enthusiastic neonatal nurse to join our established team as a Clinical Practice Educator and a Senior Clinical Nurse/ Team Leader. We are a Level 2 Neonatal Unit, comprising of 3 ITU cots, 3 HDU cots and 16 Special Care cots. The role will entail 2 days per week working as a CPE. We currently have a robust training programme in place and the successful candidate will use this as a starting point to develop our training plan and support staff clinically to enhance their roles. The candidate will have proven teaching and assessing skills and evidence of delivering high quality training and development within a neonatal setting. 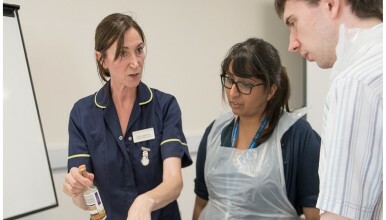 There are established links to our neonatal network and the candidate will support the Education, Workforce and Development network group and work closely with the educational leads to support network training. The other part of the role will be as a Senior Nurse/ Team Leader. You will be a role model for delivering high quality clinical care, as nurse co-ordinator or working clinically within the Neonatal Unit.